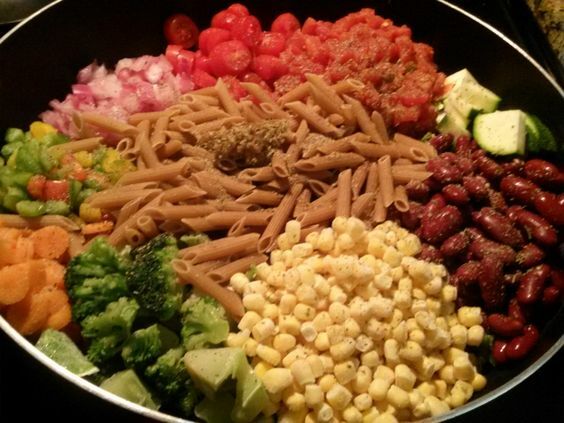 One Pot Veggie Overload Pasta Dish. Throw in 1 deep dish skillet. Cover in veg broth, light boil for 10 min. Let sit for 5 min, ENJOY! You can swap the veggies for whatever your favorites are, and of course swap out to your favorite type of pasta.